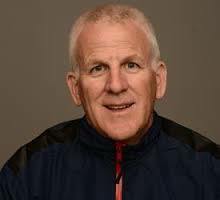 The New York Times recently ran a nice article about Bruce Gemmell, one of the coaches of the 2016 U.S. Olympic Team in Rio de Janeiro and head coach at NCAP’s Georgetown Prep site. This article follows up on a prior article that the NYT did on Gemmell earlier this year. Also, the Washington Post just ran a fun story about the remarkable success of the Leonardtown High School swim team as well as the newest member of the Stone Ridge High School swim team, Phoebe Bacon. The author of this story, Callie Caplan, apparently is the newest swimming beat reporter at the Washington Post, so be sure to follow @CallieCaplan on Twitter. And finally, Excelle Sports reveals the secret to success of local hero, Katie Ledecky. 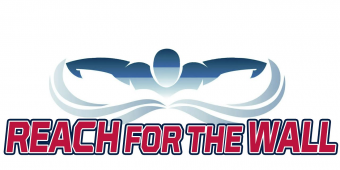 Whenever you see articles about swimming in the Washington D.C. metro area or that involve swimmers from this region, please send them to us via Facebook, ‎@rftwdmv or operations@reachforthewall.org so we can share them with the swim community. Enough Gemmell already… there are other swimmers and swim teams in PVS. Is the story about NCAP winning the USA Swimming’s Top Club award (for the 3rd consecutive time) not newsworthy? 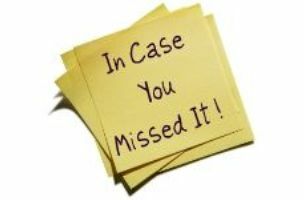 Is the story about NCAP winning Winter Nationals not newsworthy? Is a story by the New York Times about a coach in our area not newsworthy? Hint: they are newsworthy so quit crying and go compete with NCAP (instead of trying to censor RFTW). Another hint: RFTW posts articles from anyone (including any team) – see e.g., the articles from the York and Daleview swim clubs – so blame the fact that your team isn’t getting the coverage that you want on your team’s lack of media savviness, not on RFTW or NCAP. The NCAP is good team, but it should be a little more modest (I am not sure if you are officially representing NCAP or not – probably not). Your comment is talking about NCAP winning the Winter Nationals. Lets look at some specific deals from the Winter Nationals. The NCAP’s highest achievement at the Winter Nationals is one (1) silver medal (men 200 Fly). For comparison, Saint Petersburg, Aquatic -FL had at least 3 goal medals at the Winter Nationals (woman 200FR, 100BR, 200IM), as well as many other clubs had National Champs, including Gator-Fl, Swim Atlanta, NY Athletics and others. By definition, you cannot state that a team with one (1) silver medal is better than a team with three gold (3) medals. NCAP is a massive club with 12 sites in two states (Maryland and Virginia) plus the District of Columbia. Not every team is big as NCAP, and not every team is capable to bring 15 swimmers at the Winter Nationals, but it does not mean that other teams (like Saint Petersburg, Aquatic –FL, for example) is less successful team then NCAP in Winter Nationals. Your statement to other teams “quit crying and go compete with NCAP” is not very appropriate and arrogant. There are many outstanding girls and boys from other teams in PVS who are capable successfully compete with NCAP. I agree – there are other teams and swimmers in PVS, and the RFW publications should be more objective and fair. Fair and objective, huh? That’s a pretty funny comment coming from you, sir. You never seem to have a problem with RFTW when they mention your kids (or their team), but you raise hell when RFTW doesn’t mention them or names some kid ahead of them. Curious if other counties provide transportation to swim practices like in the Leonardtown story?